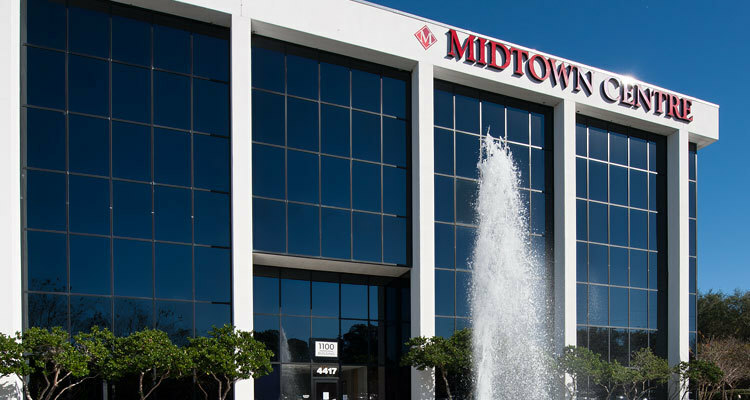 When the first buildings of Midtown Centre were constructed by national real estate innovator Ira Koger, it was part of a grand vision to create a place where businesses could thrive without the cost, inconvenience, or limitations of traditional downtown office space in Jacksonville. Defined by flourishing trees, open green spaces, and a variety of mid-rise buildings, the campus now includes 31 separate office rental buildings totaling more than 763,000 square feet. Today, Midtown Centre offers a number of flexible office space rental options – including full buildings, full floors, partial floors, clinical space, research space, and more, all with custom build out options available.